Isobel moved to LA to become a presenter. Instead she's now dressing up as shellfish or vegetables on a daily basis. She is unhappy with her job and her boyfriend who isn't offering any excitement at all. She dreams about Andrew, the boy she loved and married when she was a little girl. When she sees him at the background of a news item she decides to look for him. Isobel travels back to England to find her childhood sweetheart. It's nice to be with her parents again, but it soon becomes clear that Isobel won't be able to find Andrew in England. He's on Tioman Island, a small Malaysian island where he works during the summer. It's a beautiful tropical place and Isobel has the chance to completely be free. Will this enchanting setting bring her what she wants, will Isobel find true love now that she's traveled so far to get it? 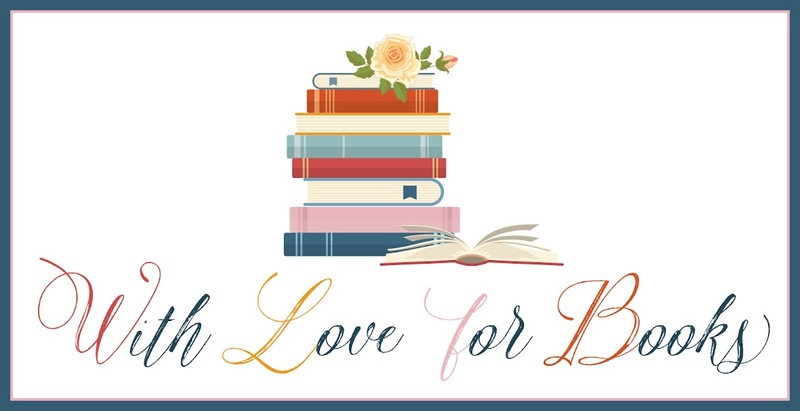 How to Find Your (First) Husband is a fun and romantic book. I immediately loved Isobel. She's a bit chaotic and messes things up on a regular basis, which is quite endearing. She has a heart of gold and she's absolutely wonderful. I loved this book straight away because of who she is. I really wanted Isobel to find true love. The idea of the long journey to find the person she's supposed to be with for the rest of her life is fantastic. It's such a sweet theme for a book and I loved Rosie Blake's charming execution. 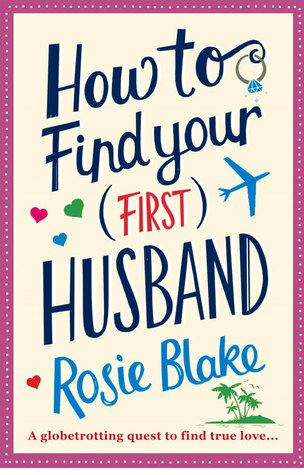 Rosie Blake has a great sense of humor and I often laughed out loud while reading How to Find Your (First) Husband. I also loved the location and Rosie Blake's gorgeous descriptions make the island come to life really well. 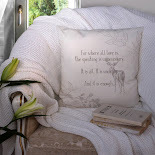 It's the perfect setting for a dreamy story with a nostalgic element. I couldn't wait to find out if Andrew would be the one for Isobel. The ending is adorable, a great and fitting finale of a perfect love story. I liked this book a lot and highly recommend it. 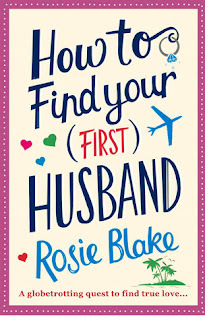 How to Find Your (First) Husband is one of those books that will stick in your mind a long time after you have read it, because of its originality and its great descriptions of places. 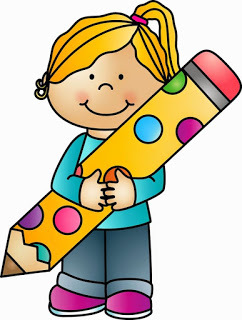 How many of you remember the first boyfriend/girlfriend of your childhood? The playground romance of the person you liked to follow around and play with, the one you never really kissed, but keep thinking of. Isobel Graves certainly does and not one of the boyfriends since lives up to the expectation of this boy, Andrew Parker. When things aren’t going as she planned in LA and she catches sight of her Childhood sweetheart in a TV article from the UK, she sees it as a sign that she should find him. This search sends her travelling and this is where the great adventures begin. I have to say that I spent a lot of this book cringing and laughing at the antics of Isobel Graves, from her drunken escapades to her clumsy cooking skills and her idealistic view on how life could be if Andrew Parker had not disappeared from her world. I like how her passion for Malaysia is shown in her reports that she does for a blog with Zeb, a friend she makes along the way. Zeb, a fun loving photographer, worms his way into the life and story of Isobel. At first she is irritated by his presence wherever she turns, but she soon begins to appreciate his support. He seems to be constantly there to help her out of sticky situations and to distract her from others. He is certainly a character I warmed to straight away and it had nothing to do with the description of him! The other characters in the story all add to it and there aren’t so many that you don’t get to know them well. I think my favourite of them has to be Isobel's fun loving, outgoing friend Mel. The book is told through present tense and flash backs to diary entries that were made in Isobel's childhood about the time she first married Andrew. The story has some great twists and turns and some amazing descriptions, that make it a read that will have you gripped. I would certainly like to see more of the characters, which is always a sign of a good book. I totally had a dream about this book last night. I think that was a sign for me I should read it. Wise dream, you will definitely enjoy it :). Yes you should. It's a good read. This sounds like a great read. Would love to read this! 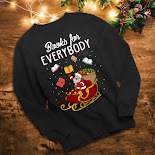 I love to read book that are funny and I would love to read this book!!!! A very intriguing title! Beautiful cover! I love a book that has some humor in it too. This sounds like a fun read! This would be a perfect book to read at the beach! Superb review, seems a great read! It's so sweet when lost loves are reunited. I think this would be an adorable story. I love that Isobel wrote about her love in her journals - so romantic! This one definitely appeals to me!